Green Apple Mechanical is a leading company that offers superior Air conditioning, Heating and plumbing services for residents in Bergen County New Jersey. From installation to repair and maintenance, you can count on Green Apple Mechanical. Our team of skilled technicians undergoing continuous training in order to provide quality workmanship and customer service. When you call Green Apple Mechanical, you’ll receive fast, hassle-free, and affordable plumbing services. If you are in need of repair for your home’s plumbing system and fixtures, turn to Green Apple for fast plumbing repair service. Our skilled technicians will inspect your system in order to diagnose any issues in need of repair. We provide quality solutions and service to fix your home’s plumbing issues, restoring function and protecting your home from damage. Our maintenance services are designed to improve the function and efficiency of your home’s plumbing system and its components. Maintenance can extend service life while helping you conserve energy and water. We also offer comprehensive heating services to keep you comfortable and safe all winter long. Our team provides installation of new heating systems from leading manufacturers, as well as repair services for all models of heating equipment. Green Apple offers maintenance services to keep your heating system operating effectively and efficiently. Green Apple provides installation, repair, and maintenance services for residential air conditioning systems. When it’s time to replace or upgrade your current air conditioning system, turn to us for reliable installation of new air conditioning equipment. If you’re experiencing issues with your air conditioner, we offer diagnosis and repair service to solve system issues. 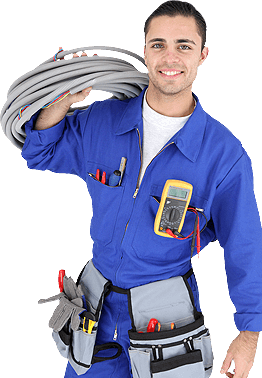 Green Apple Mechanical is a full service HVAC contractor specializing in heating, air conditioning in New Jersey. .